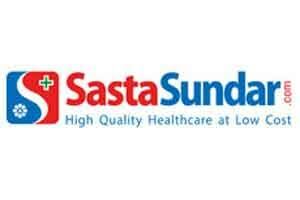 Kolkata : Online pharmacy major SastaSundar, a subsidiary of public-traded Microsec Financial Services Ltd, is planning to invest Rs 130 crore to expand its operation and is aiming to break even in 2017-18. “We have already turned into the largest online pharmacy servicing about 3,000 orders per day. We hope to break even in 2017-18”, SastaSundar Chairman B L Mittal said today. He also said the company was planning to invest Rs 130 crore over the next one year to expand its footprint in Maharashtra and Bengaluru. The online pharmacy is servicing only in six districts of West Bengal as regulation restricts pharmacies to ship medicines out of the state unless the company has obtained drug license in the state where the drugs are supplied, Mittal said. SastaSundar CEO Ravi Kant Sharma said the company had so far infused Rs 110 crore including manufacturing facility for FMCG products. He said the company was moving towards bringing innovation in creating infrastructure to offer products and services tailored to an individual. In a step toward this, the company has introduced Dnavita, first in the history of health supplement industry, Sharma said. He said based on individual’s health condition and nutrition requirement, Dnavita will be tailored and delivered to the customer.